We teach phonics here at St Joseph’s using the published scheme, Letters and Sounds. 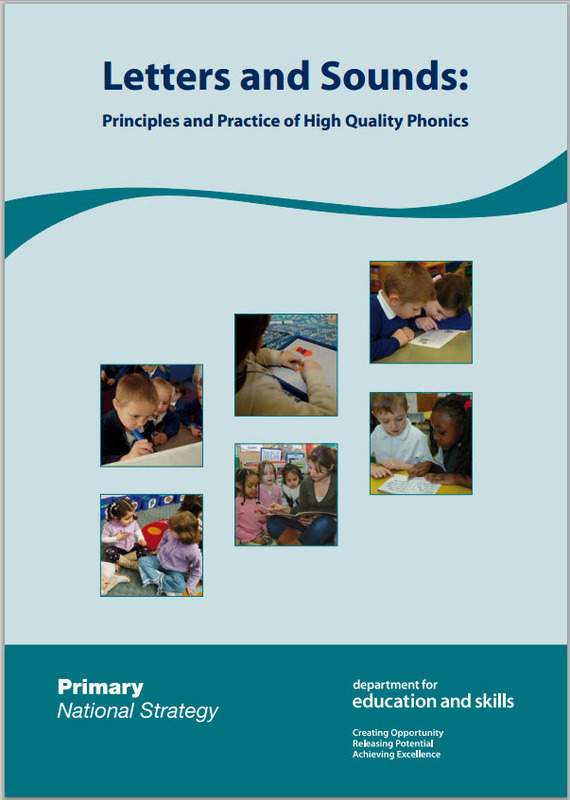 This is a phonics resource published by the Department for Education and skills in 2007. Our aim is to build children’s speaking and listening skills, as well as prepare them for learning to read and write. This phase usually starts in nursery and runs throughout all of the phases. This phase is heavily focussed on speaking and listening skills and rhythmic activities. Children entering phase 2 will have experienced a wealth of listening activities including songs, stories and rhymes. Within this phase the children will learn 19 letters and their corresponding sounds. They will learn to blend these sounds together for reading and segment the sounds for spelling. They will also learn to read some high frequency words which are tricky to read, such as the, to, I, no and go. The purpose of this phase is to build on their previous learning. To do so they will learn a further 25 graphemes. (The smallest meaningful unit of sound) Most of these graphemes are made up of 2 letters (e.g. ch). They will build up their skills of blending and segmenting to further develop their reading and writing . 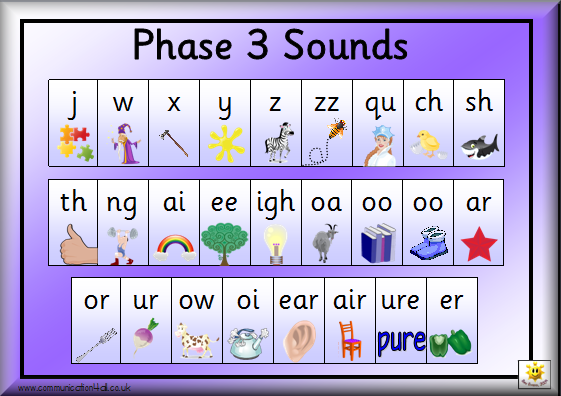 The children entering phase 4 will be able to represent 42 phonemes (a unit of sound). They will be more able to blend and segment and will also be able to read and spell even more high frequency tricky words. The purpose of this phase is to consolidate their learning. The purpose of this phase is to broaden their knowledge. They will learn new graphemes and phonemes for use in reading and spelling. It must always be remembered that phonics is the step up to word recognition. Automatic reading of words is the ultimate goal. During this phase, children become fluent readers and increasingly accurate spellers. We also use the action songs within Jolly Phonics.